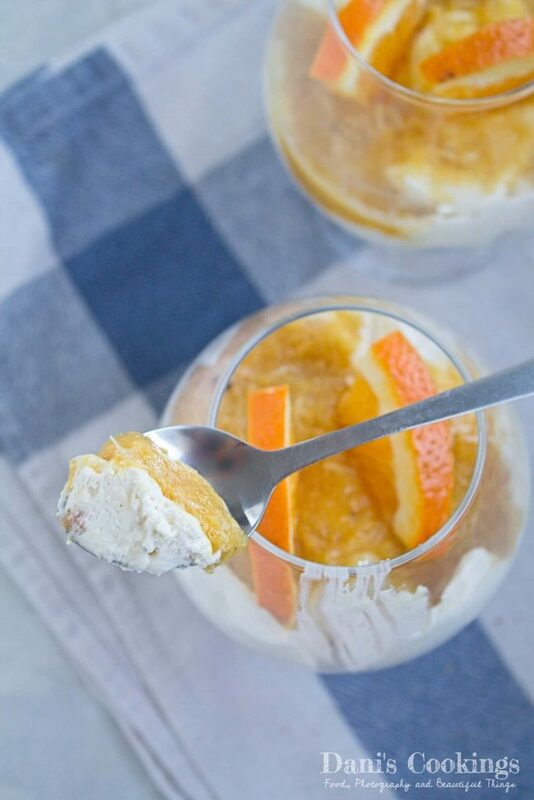 This easy orange cheesecake in a glass is a no bake simple dessert that tastes heavenly and is so easy to make! The fluffy creamy texture, the delicious almond biscuit crust and the fresh orange toping make it the perfect sweet experience! I know that some people don’t like certain fruits (which I find strange because I am a fruit addict) but almost everyone likes oranges. And no wonder: it is probably the freshest fruit in the world! 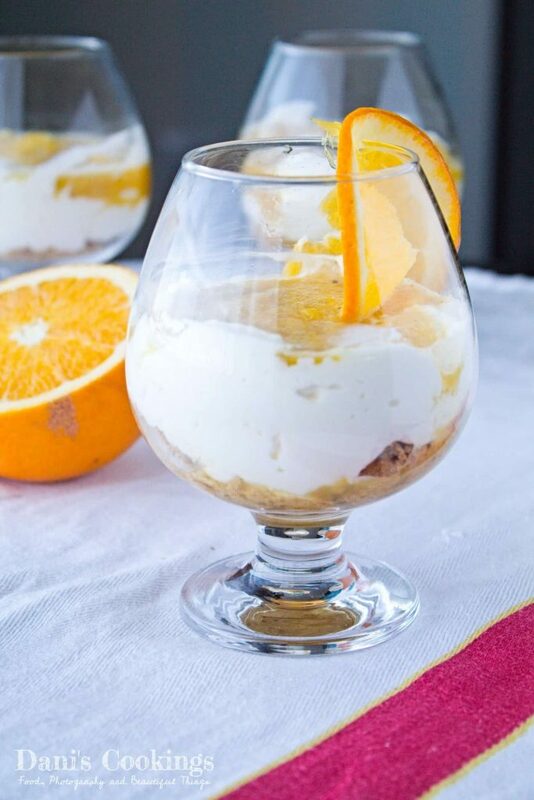 I am not a big fan of the morning orange juice (and drinking fruit juices every day is not any more considered as a very healthy habit) but I am a big fan of eating oranges between the meals or making desserts out of them. 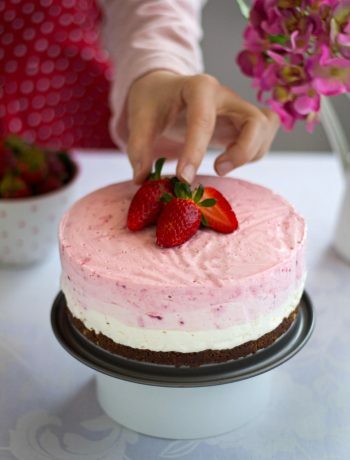 Well, we all know that most dessert are not healthy but if you don’t exaggerate, a bite of something sweet is always a mood booster. 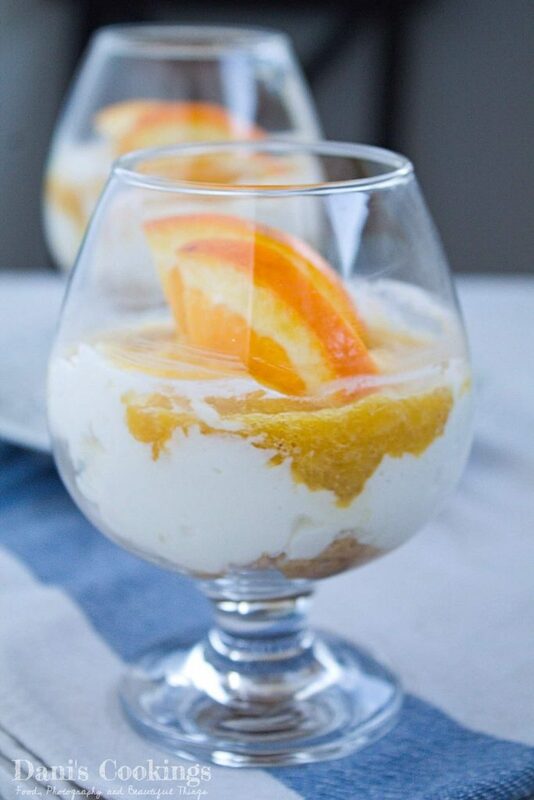 The orange cheesecake in a glass apart from being super tasty and fresh, is also light. 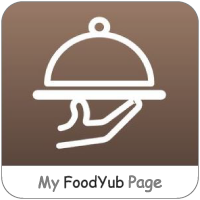 It is much lighter than a regular cheesecake and contains only 7 ingredients, if we don’t count the spices. I added very little cinnamon and cloves to the topping: just to enhance slightly the taste, without making it too strong. The resulting feeling of this dessert is a very delicate combination of almonds, cream and orange and a hint of chocolate and cinnamon. Indeed the chocolate covered biscuits definitely make a difference but if you don’t have such, use normal biscuits and add some crushed chocolate. And don’t skip the almonds! 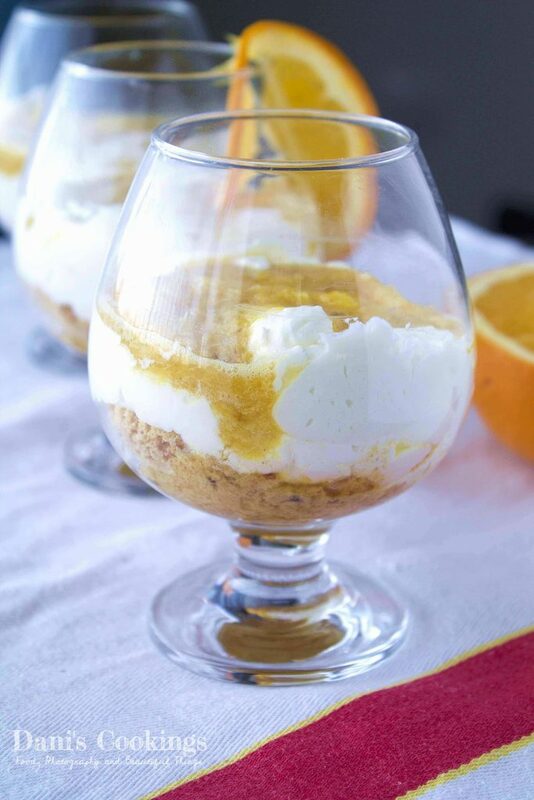 You can prepare this light cheesecake literally within minutes: crush the biscuits, whip the cream, make the orange topping and layer everything in the glasses! Then leave it in the fridge for several hours before serving so that it gets nicely cool. And that’s it! 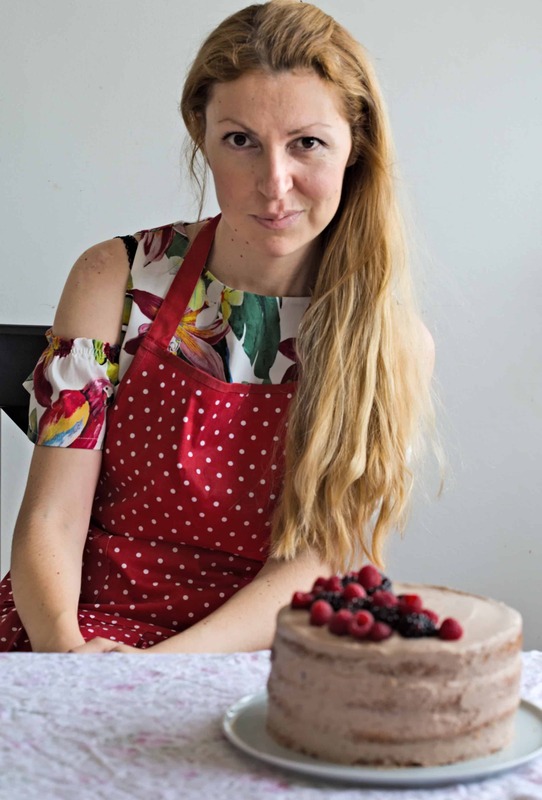 If you don’t have time for a regular cheesecake or if you just want to enjoy a lighter version, that’s the right recipe for you! Sometimes the simplest things happen to be the greatest ones! In a medium saucepan combine sugar and orange juice and bring to boil. When it starts simmering, lower the heat and add the cornstarch, dissolved in the water. Mix continuously to avoid burning. When the mixture starts to thicken, remove from heat, cover with a lid and let cool for 30 minutes. In a bowl combine the biscuit crumbs and the ground almonds and stir to blend. Spoon the mixture evenly into 4 glasses or small jars. In a large bowl beat the cream cheese and the powder sugar until combined. In a separate bowl whip the cream. With a rubber spatula fold it carefully into the cream cheese mixture. Spoon evenly the cheese filling onto the biscuit base. Top with the cool orange topping. Cover the glasses with cling film and transfer to the fridge for 6-8 hours. Decorate with fresh orange slices right before serving. 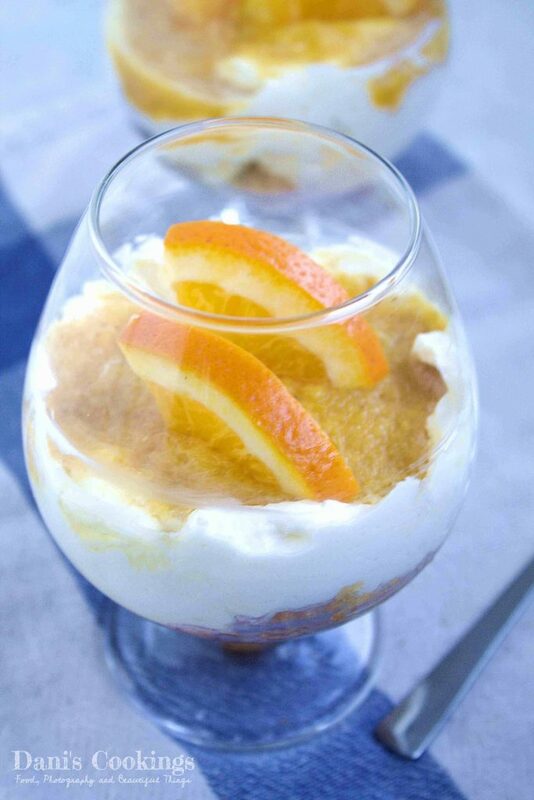 Alternatively the topping could be prepared with processed orange pulp instead of juice only. Keep in mind that this way the topping would be slightly bitter and its consistency might not be completely smooth. 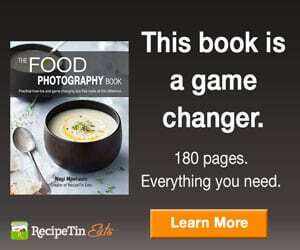 Dani, this looks delicious and your photography is really lovely! 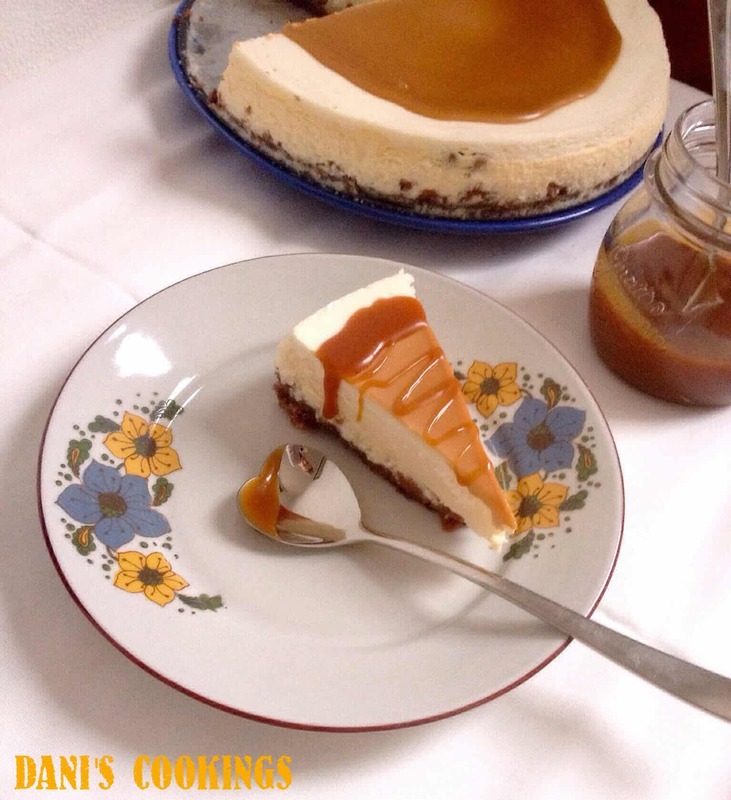 Dani, we did it 🙂 and the result was ….mmmm so delicious!